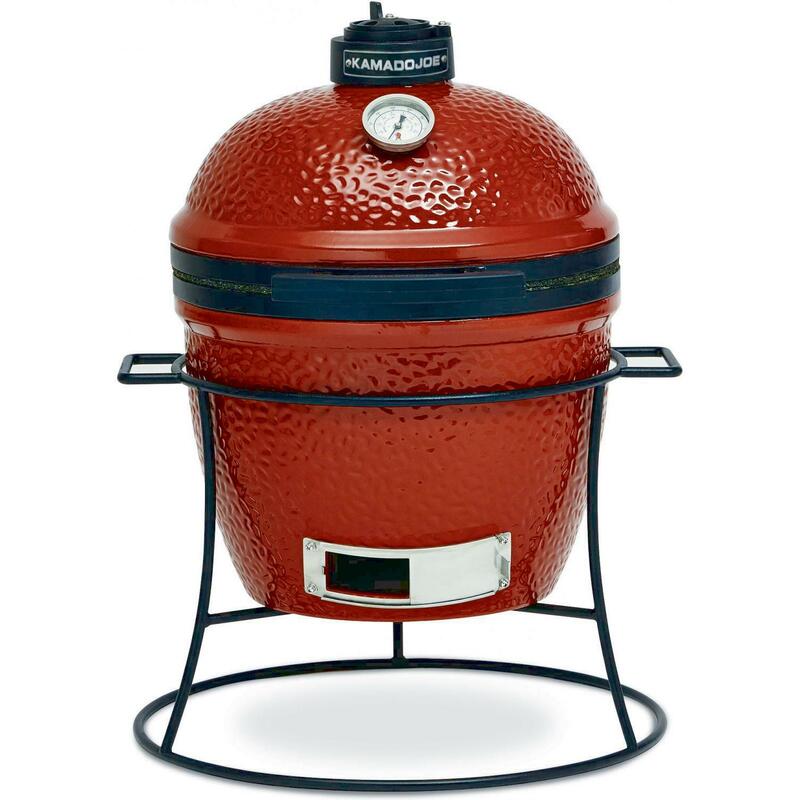 Product Description: Caliber Pro Kamado Grill On Stainless Steel Cart - Wood Inserts / Handle - Turquoise. 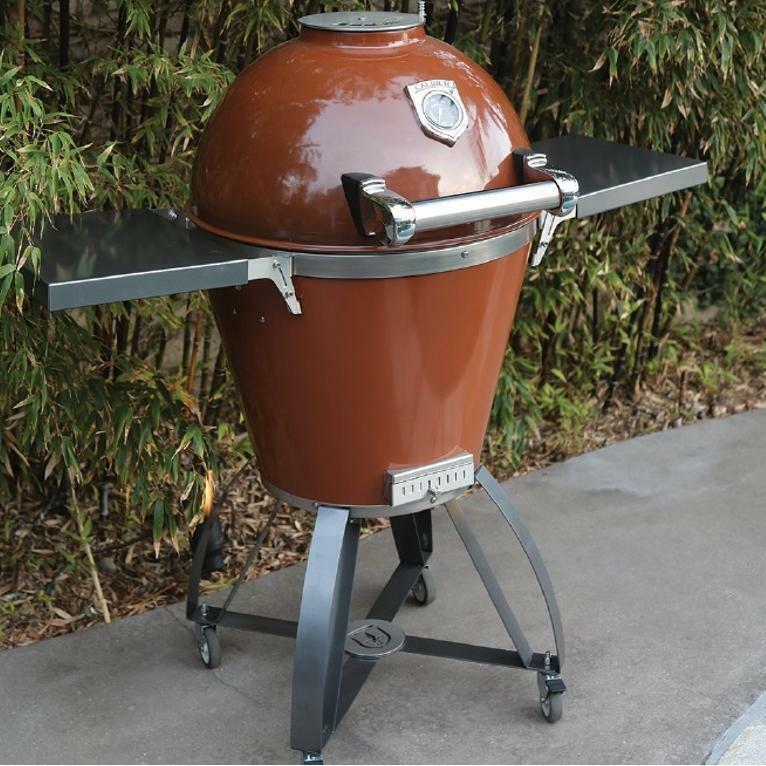 Experience innovative cooking versatility with the award-winning Caliber Caliber Pro Grill. 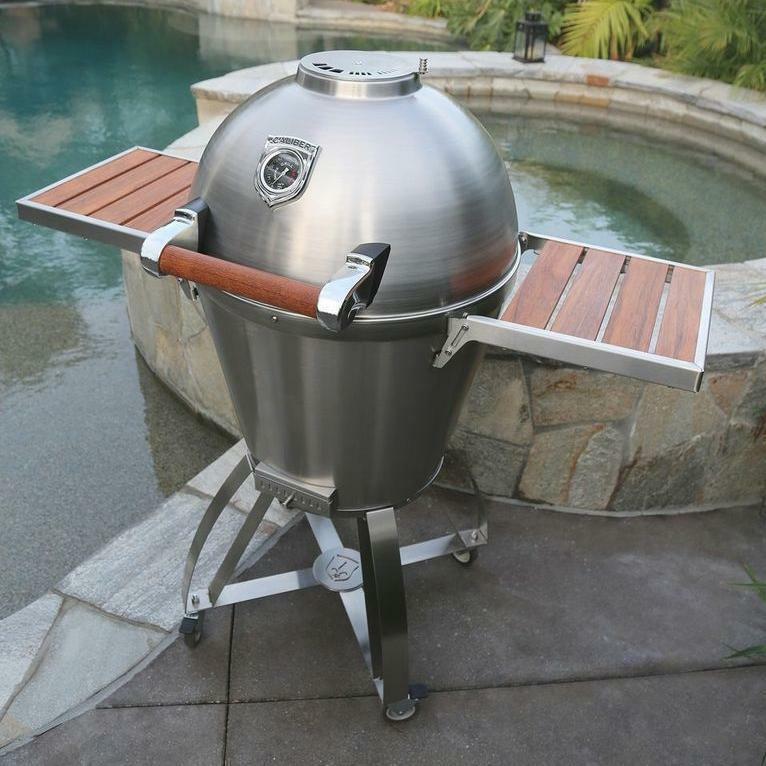 Designed and manufactured in the USA, this unique kamado-style grill combines the heart of ancient cooking with the technology of the 21st century. 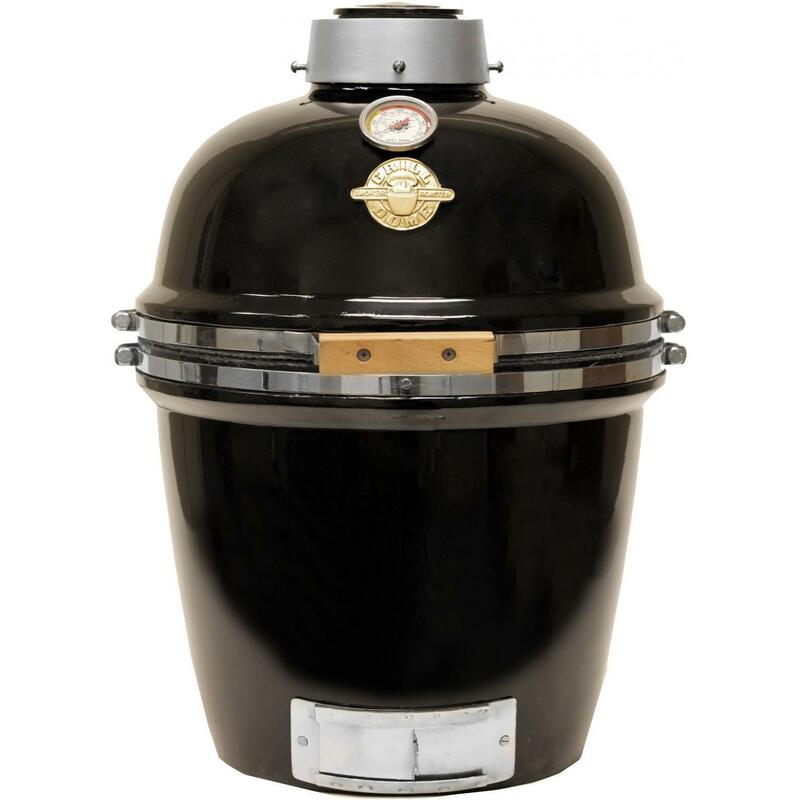 The Caliber Pro has an inner and outer layer of professional quality, 304 grade stainless steel while the inner layer is filled with ceramic insulation which delivers superior heat retention and distribution for more consistent cooking results. 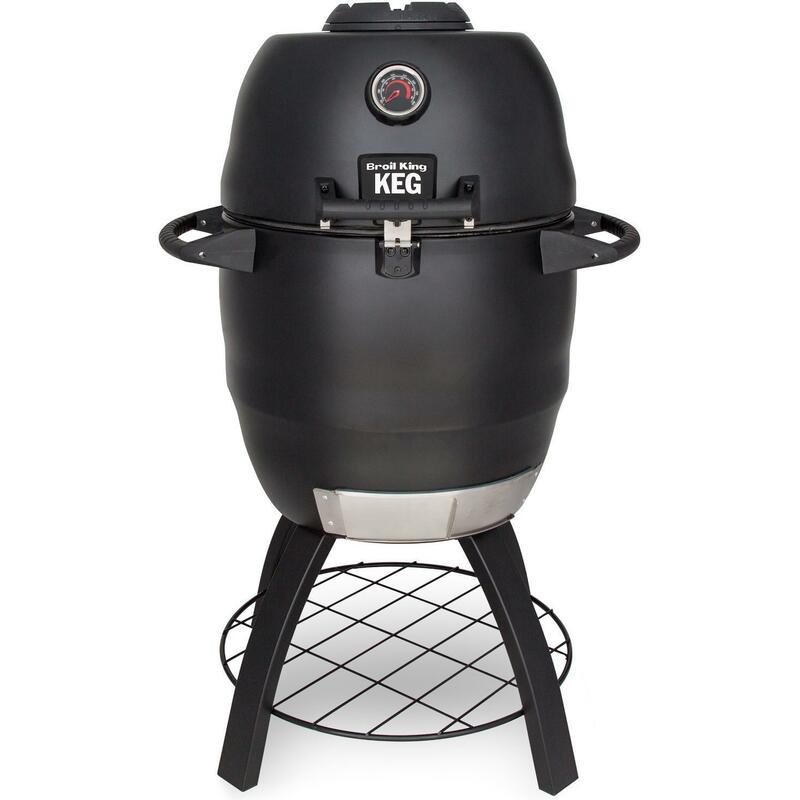 The dual layer design creates a durable grill that weighs less than all other ceramic kamado-style grills while using less charcoal for cooking. 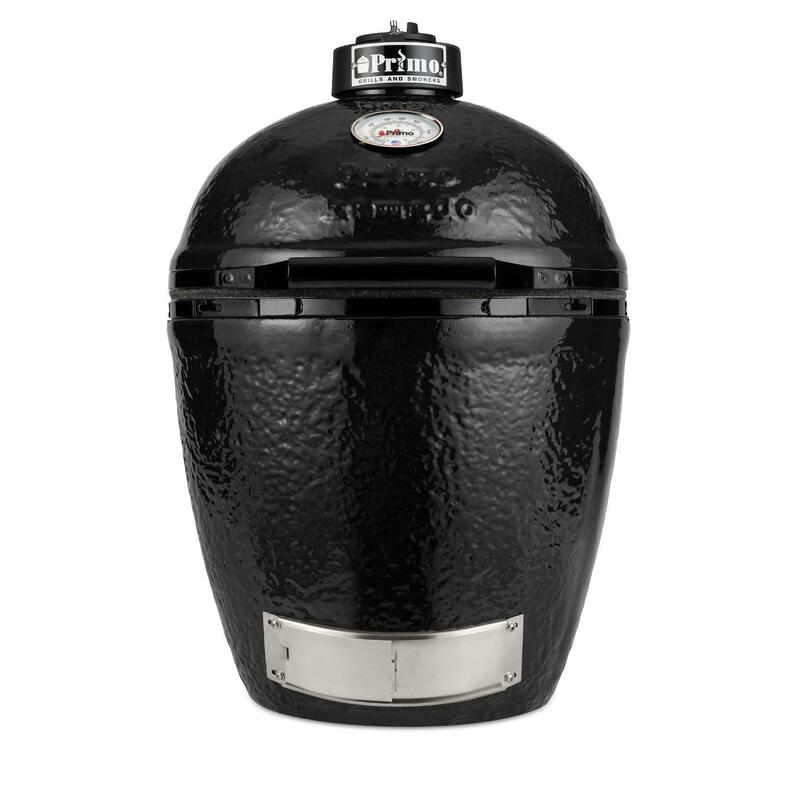 The grill has a patent-pending flue vent system which moves the heat in a circular path before it exits through the vent in the lid. 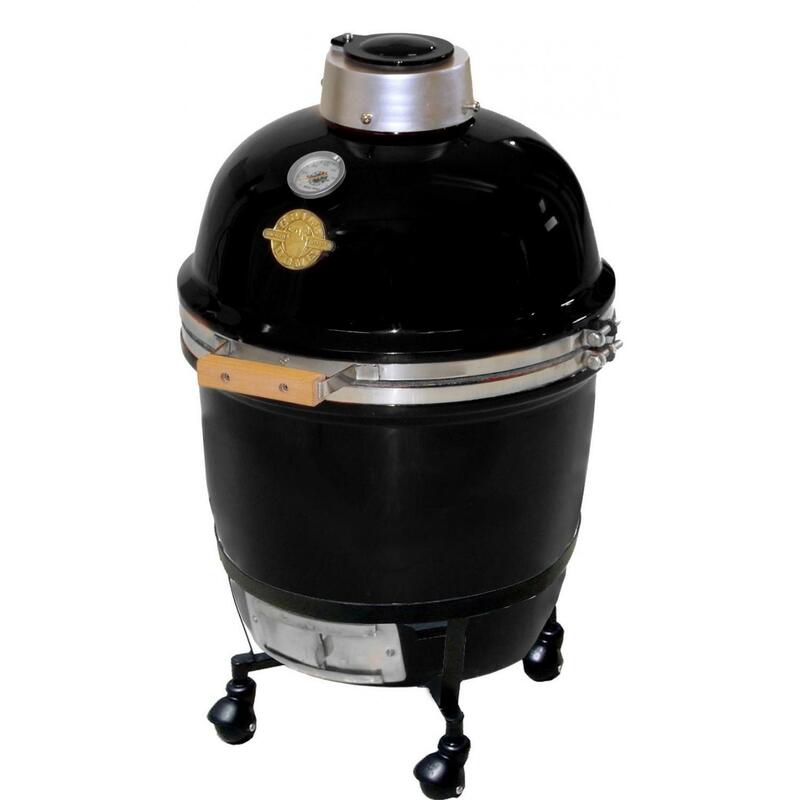 Control the temperature using the bottom slider vent along with the top air vent, which is a disk with a series of slots, the largest one for high temperature searing while the smallest is for low temperature smoking. 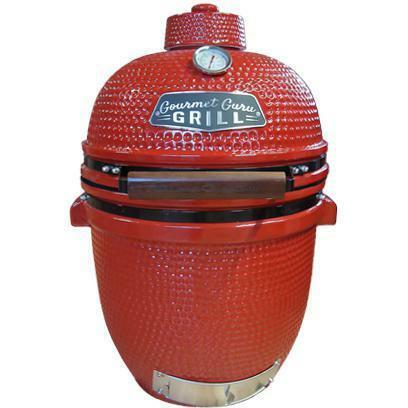 The grill grates are constructed from solid, 5/16-inch thick stainless steel with a hinge on one side for adding wood or charcoal while cooking. Easily cook meals for the whole family on the 400 square inch cooking area and monitor the temperature using the large, easy to read temperature gauge. 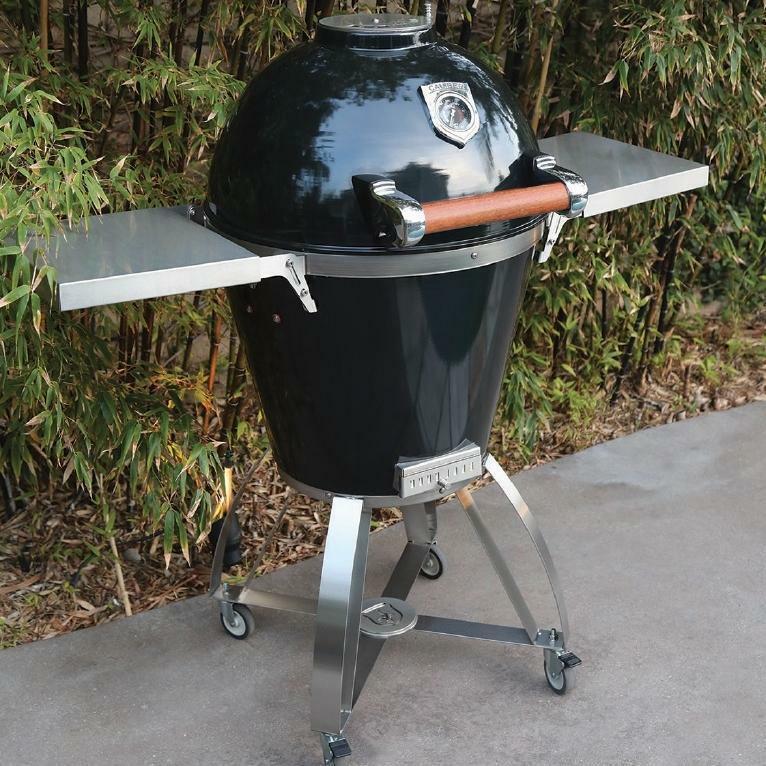 The stainless steel cart securely holds the grill while four, heavy-duty casters provide easy portability. 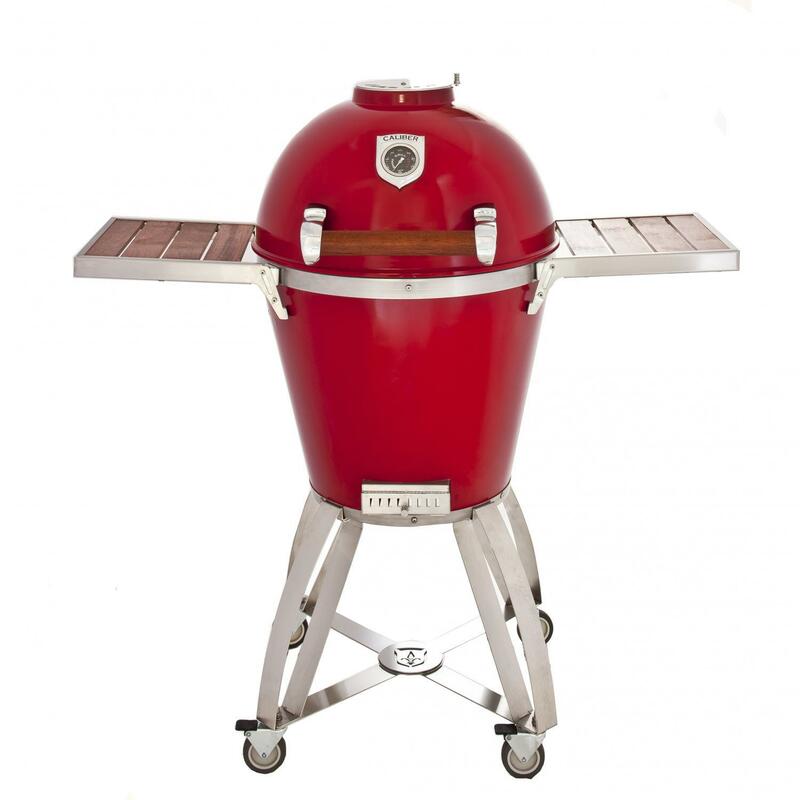 Two folding side shelves with hardwood inserts add extra space for grilling essentials. 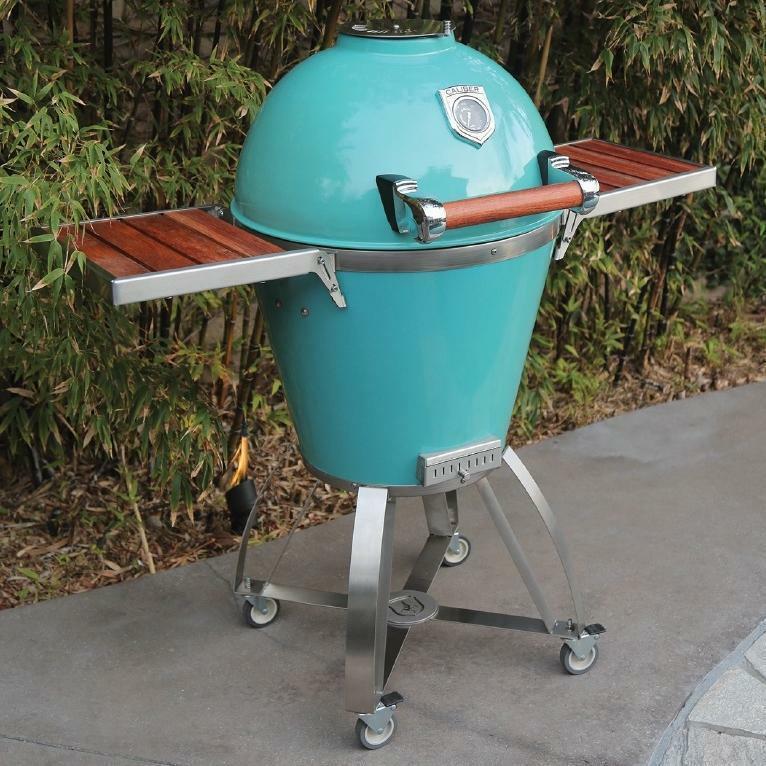 The CTP22-TQ-WH Caliber Pro grill is equipped with a stylish hardwood handle and durable, powder-coated turquoise porcelain finish with stainless steel hardware for added durability. 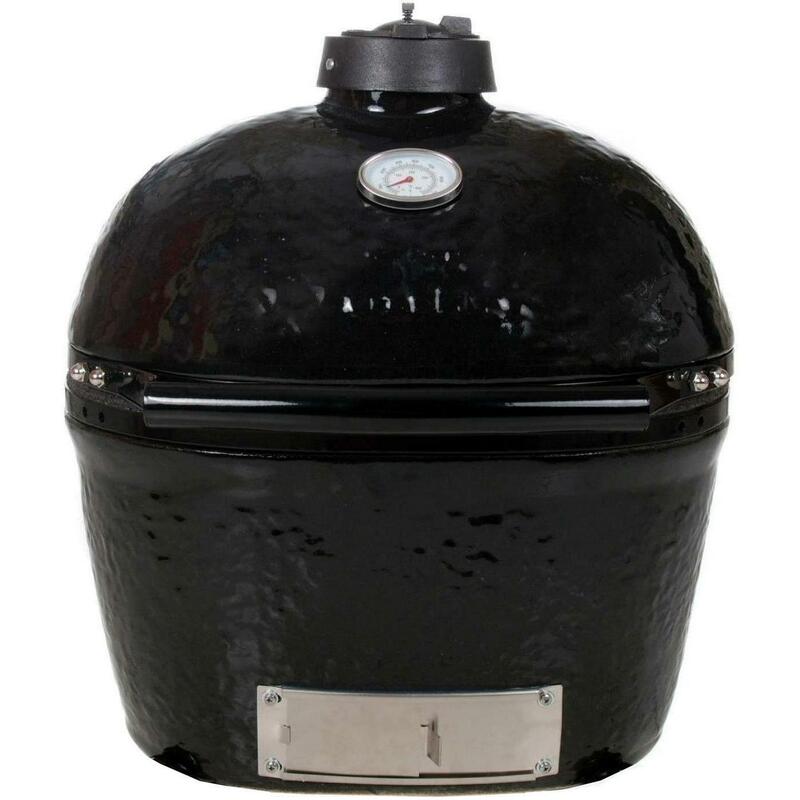 The lid gasket is made from a high temperature fiberglass woven cable with stainless steel bulb which is more durable than the felt gasket found on other ceramic kamados. 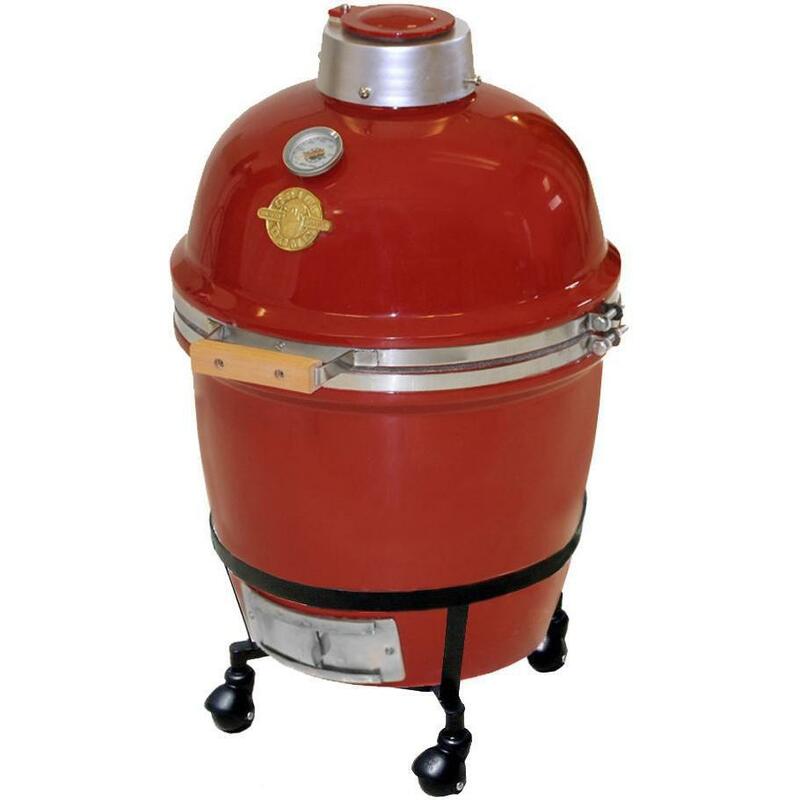 Cleaning the grill is easy, simply wipe out the interior with an easy-off type oven cleaner. 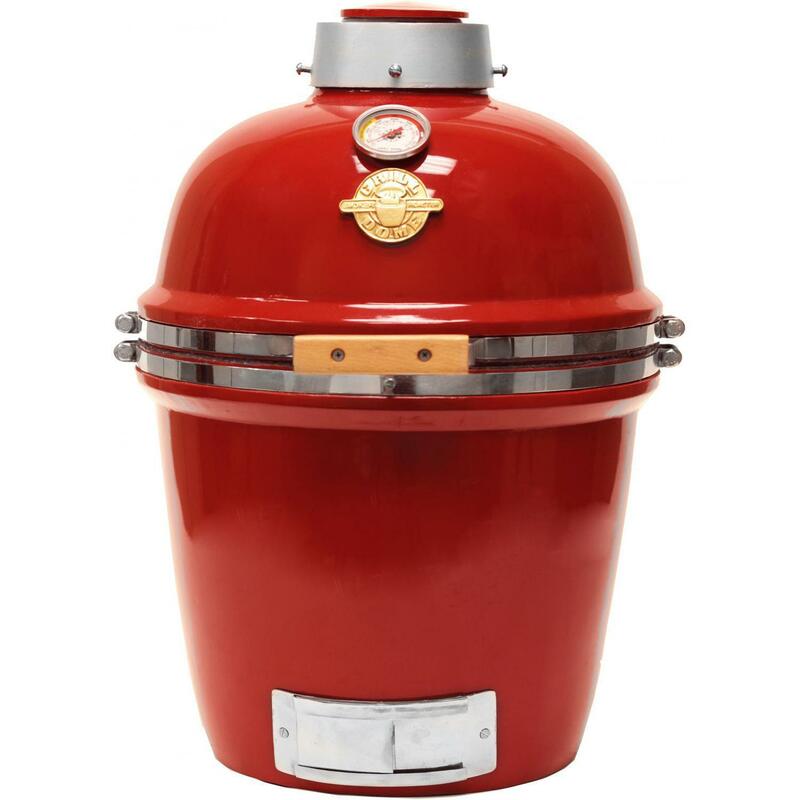 Includes an ash tool for easily removing ashes.